It had simply been resting there___no attention being given to it…forlorn, under-appreciated, abandoned___a fixture that had given such pleasure for years, barbecued with the utmost dependablitly___a lost friend, and I felt guilty! As I mentioned in my last blog (link here) along with the motivation to cook, I lost my Green Egg chef and partner and thus all the sensations of the joys of outdoor grilling. My son Bill came into town, and I immediately “roped” him into a lesson because he has “mastered” the Green Egg. In fact, he has pretty much taken everything I taught him about cooking to a higher bar! No dish would be more fitting to do the Egg justice, and bring it back to life, as a juicy medium-rare steak___and not just any steak, but a bone-in rib eye from my neighborhood butcher (The New York Butcher Shop). And we will threw in a side filet for comparison and a little snacking pre-dinner. The Green Egg never disappoints. The smells wafting from the grill embers with fat dripping from the charring steak brought back the memories. It is worth every effort to go to the “max” when you have such choice ingredients pared with the top of the line equipment. Lesson accomplished! I got this HANDLED now! 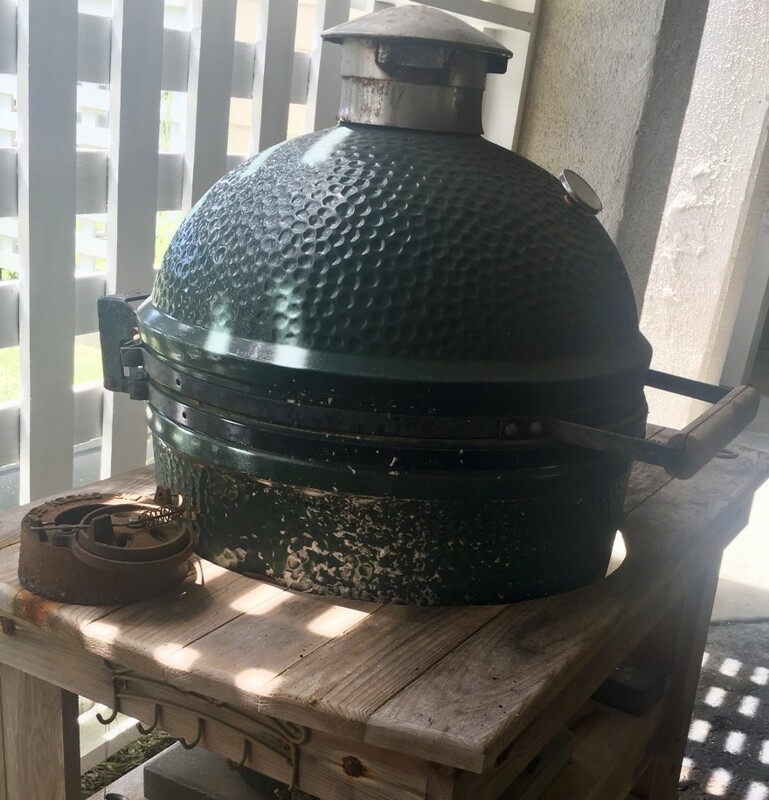 And my long lost Big Green Egg friend is back in rotation!